Can anyone ID this toolbox or what lock it should have. I have not seen this box shown on the Forum yet. The upper latch is gone. Many times the inside of the box has the mfg. decal, but most are long gone as was your latch. 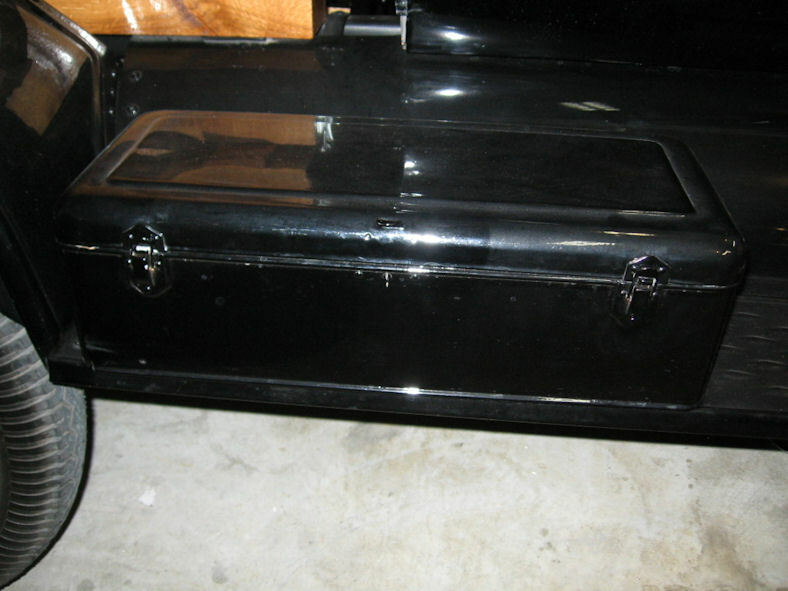 Note the upper latch in this picture, that is missing from your box. Thanks for posting that AD Dan. It may be just a different model but the lower portion of my lock is square and this one is angled some. I wonder what the second hole is for on mine. 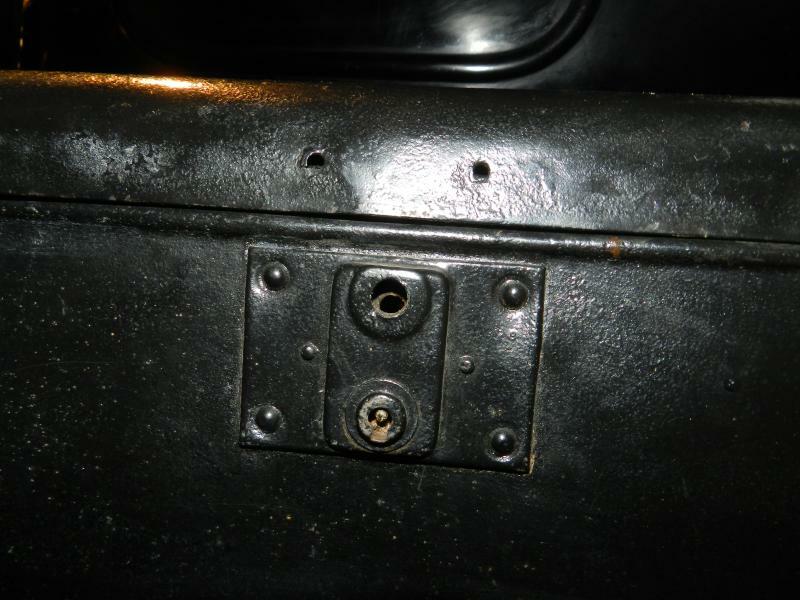 The bottom hole looks like the lock and the top hole I'm not sure of, it must have been what locked the latch down? That tool box takes a latch that is hinged and has a pin with a slot cut into it. The pin goes into the hole on the lower part of the latch assembly, the slot gets caught by a sliding catch inside that lower latch assembly. 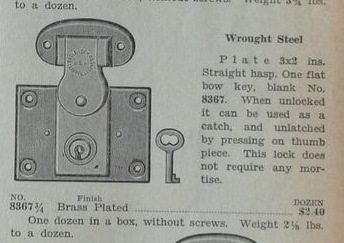 The slide catch is pulled down by the key (probably also missing) in the keyhole below. 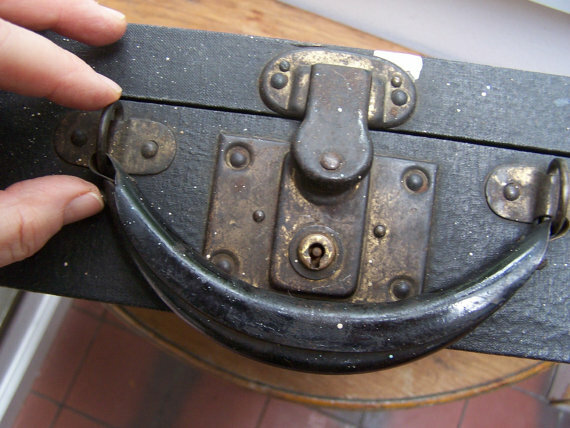 Similar latch assemblies were used on everything from suitcases to film projector cases. I know I have something similar on a couple things, but may not see them for awhile. If you do not need to keep it exactly like original, there are several type locks and latches of original style that are available. 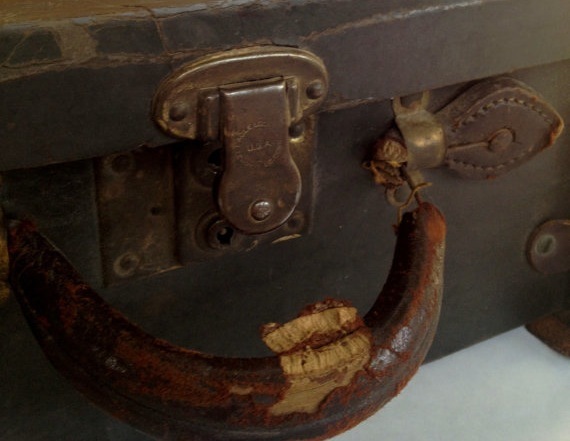 I would try some junk stores first to see if I got lucky with an old case and similar latch. If not that lucky, I would get one of the available repros and be happy with it. Wayne, do you happen to have a picture of the lock assembly I am looking for? I do not at this time. I may try to find something and photograph. I make no promises though. Finding anything right now (family issue) is tough, and I am a lousy photographer. But I will give it a shot (pun intended). 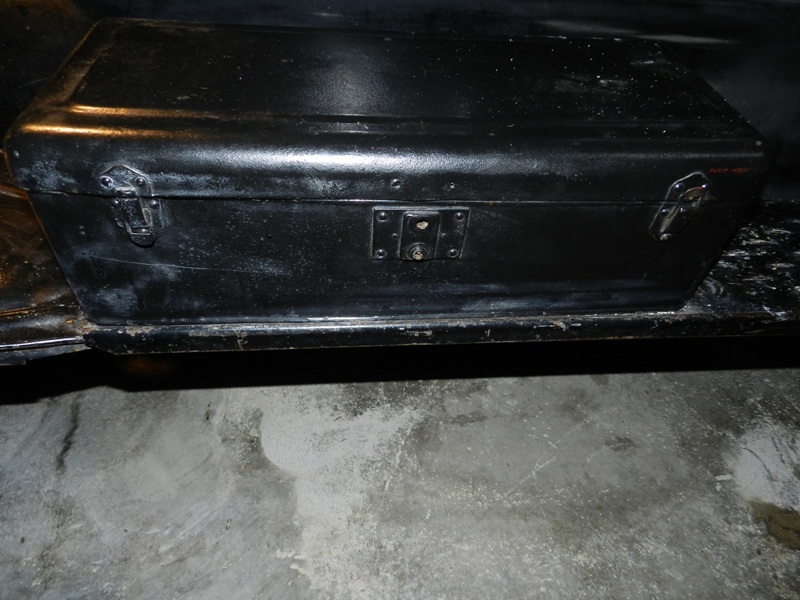 Hey Adam, I just went and checked out all my running board tool box's scattered around the place (about 3 dozen) and none of them have a latch setup like yours. All of them looked like the ad Dan posted, several posts back, in one way or the other. 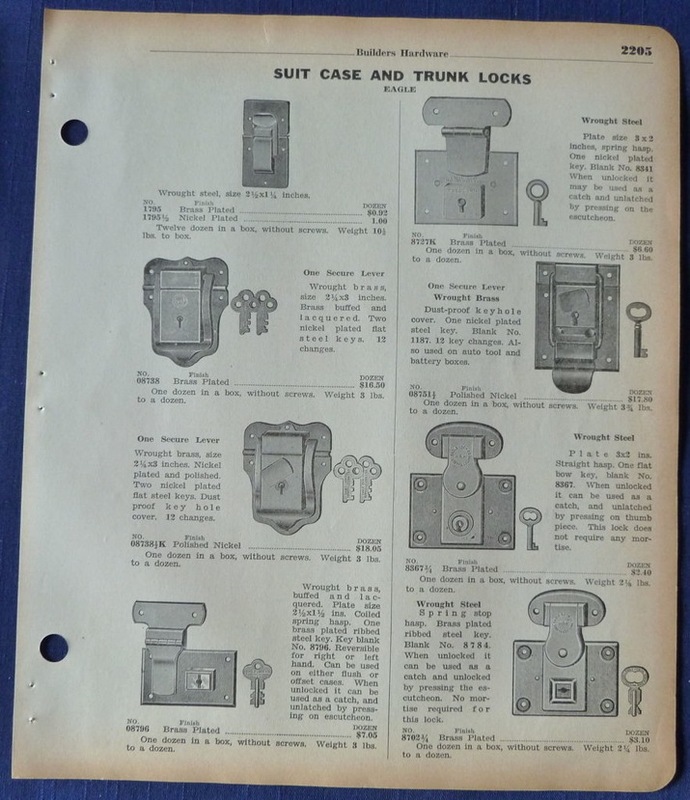 You can get repro latch sets from a vendor that sells parts for steamer truck restorations and the like. Just do a Google search. I seem to remember a while back somebody posted a picture of toolbox latch assemblies that they had collected over the years from otherwise trashed boxes. They had taken snips or a saw to the trashed boxes and just cut out the latch assemblies. 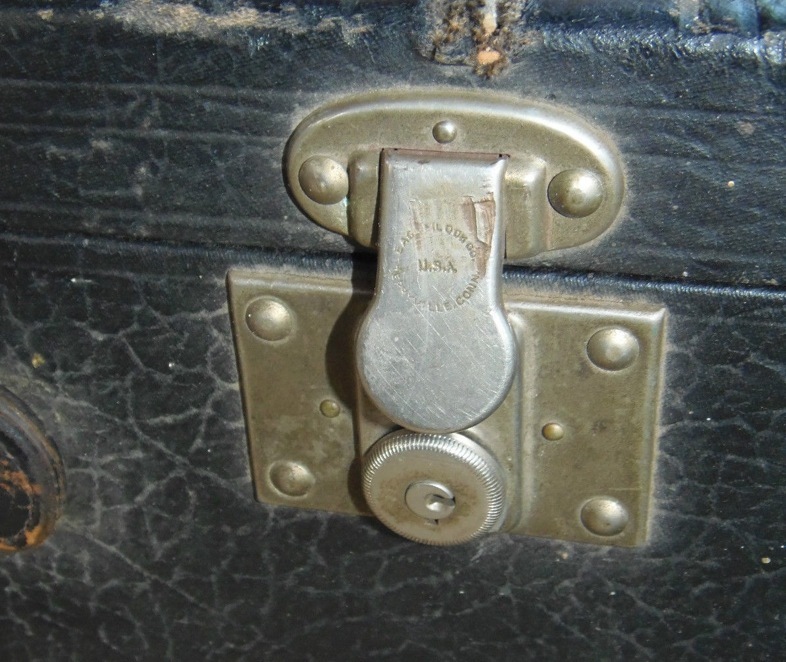 Does anyone remember who that was, I would like to contact them to see if I could get a latch assembly for my existing toolbox. Mark: Here is a link to the post. It was Erik Johnson. Bob Coiro Posted this picture that seems to look allot like mine. Wayne: Is this the latch you were describing in the previous post? Thanks Adam, I have sent Erik a PM. 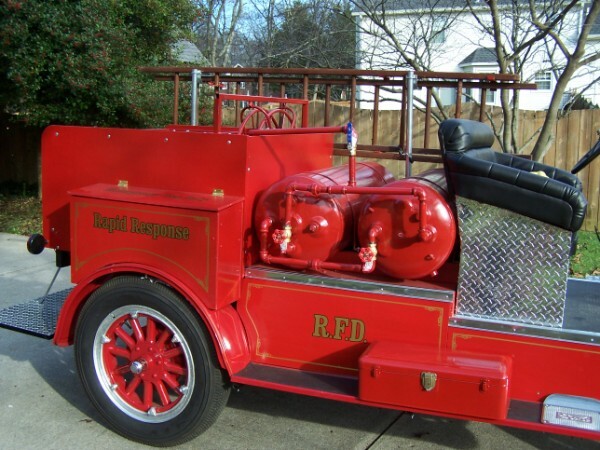 Just finished one like these for my fire truck. It says Yale on the lock and is still in really nice shape. Makes a nice addition to the truck. Here's an update, Erik replied to my PM and I am purchasing one of his period steel locking latches with key. Thanks, Erik! 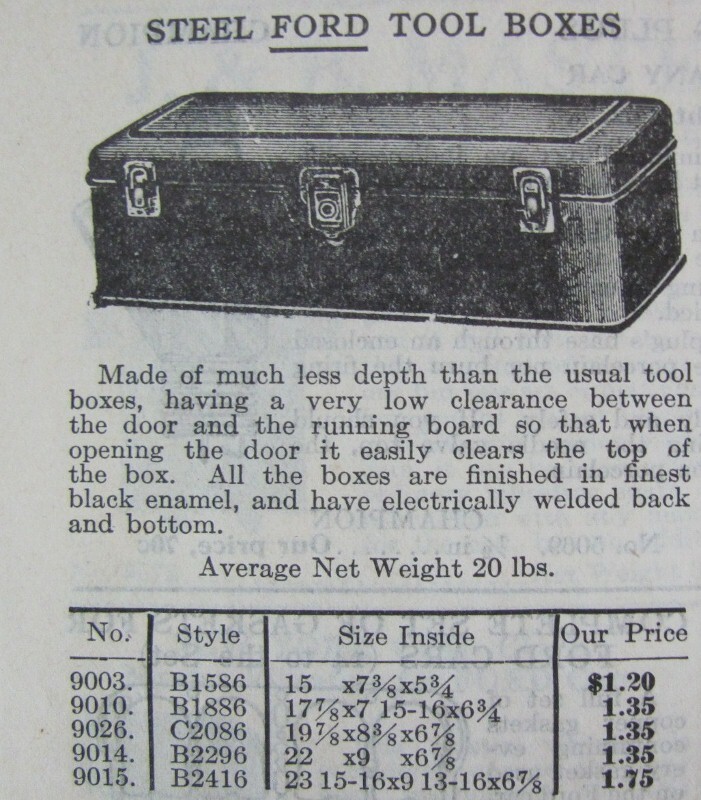 I have a similar box made by GLOBAL TOOL BOXES the lock assembly is EAGLE LOCK CO TERRYVILLE CT 1896 this might give you some where to start. I think David Menzies nailed it. I believe below is the type of Eagle lock that was used on your toolbox. 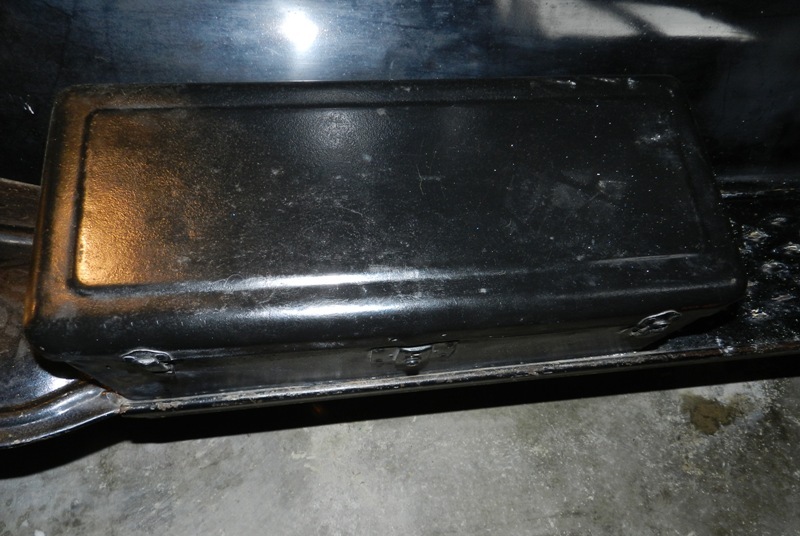 They are also used on non-running board tool boxes, tackle boxes, old suitcases and briefcases, etc. so you could rob the lock from one of those. Doing a quick search on the internet, the basic design can vary. Wow guys, thanks! I now have a place to look and something to look for. I can see from the pictures that that is the exact one. Thanks David for figuring this out. Erik, that last briefcase picture looks just like the one I need. Update: Lock and Key found on Ebay. Its in the mail and on the way. Thanks for all the help everyone!